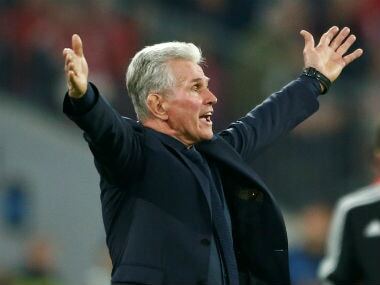 Munich, Germany: Jupp Heynckes expressed his delight at Bayern Munich's ability to keep their composure despite a frustrating 0-0 draw against 10-man Sevilla as they qualified for the Champions League semi-finals. 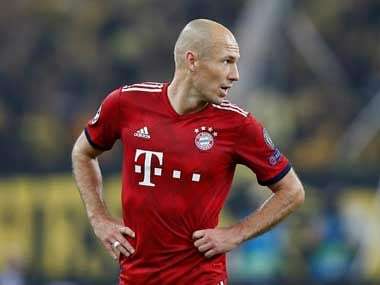 Bayern progressed to the last four on Wednesday for the seventh time in nine seasons, prevailing 2-1 on aggregate following their first-leg victory in Spain last week. Franck Ribery had Bayern's best chance in the Munich home leg, but he fired at Sevilla goalkeeper David Soria in the first half at the Allianz Arena. Sevilla's Joaquin Correa hit the Bayern crossbar with a header on the hour mark before being sent off just before the final whistle for a foul on Javi Martinez. Spain international Martinez finished with a bruised knee, while James Rodriguez picked up a thigh injury in a bruising encounter. Heynckes was pleased his side ground out the result despite their inability to breach a determined Sevilla defence. "You can’t always play brilliantly and put the opponent to the wall, sometimes you have to just keep them scoreless," Heynckes said. "They hit the bar, which didn’t let us rest, but we didn’t get nervous." Heynckes praised the discipline exhibited by his players. 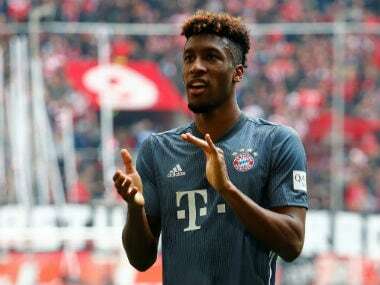 Top scorer Robert Lewandowski, in addition to Ribery, Jerome Boateng and Joshua Kimmich, had been a yellow card away from suspension but the quartet emerged unscathed. "We kept our discipline and we didn’t pick up any yellow cards, even though four players were in danger of being suspended, which was important," he said. Thomas Mueller admitted it was a frustrating night for Bayern and their fans as they struggled to cope with Sevilla playmaker Ever Banega. "In the first 20, 25 minutes, we managed to constrict Sevilla, but too often we didn't get pressure on Banega," Mueller said. 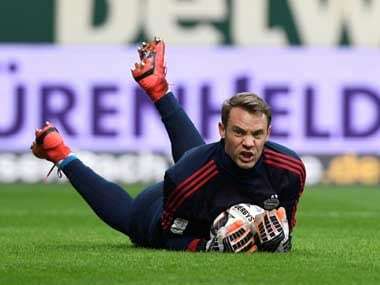 "Annoyingly, we did not score, although we had chances. "We played well, even if it wasn't a good game for the general public." Liverpool, defending champions Real Madrid and Roma, who knocked out Barcelona, are also in Friday's draw for the semi-finals, but Heynckes has no preference. "You saw yesterday in Manchester and Rome that we can't underestimate any team - all the three other teams are at the top level," he said. "Of course, we are ambitious and we want to reach the final, but we have two hard games ahead of us, whoever we get. "You saw that Barcelona clearly thought the job was done before they played Roma, so I have no preference." Sevilla's bid for a first semi-final appearance fell short in spite of shutting out Bayern's attack and restricting the hosts to 51 percent possession. Sevilla boss Vincenzo Montella said they need the same passion in their fight to get back among the European places in the Spanish league, where they are currently seventh. "I am proud of my team, they showed personality with heart and they never gave up against a team which can win the Champions League," said Montella. "We put in a good performance, we had our chances, they certainly weren’t clear chances, but Correa hit the woodwork. "Sevilla can leave Munich with heads held high." "We have to have the same attitude, passion and determination now in the league and cup," he added, with Sevilla due to face Barcelona in the Copa del Rey final on 21 April.